Let's work together to build a community of writers! The Writing Center would love to meet with your class or organization! Our 10-15 minute presentations provide students with information about our services and what to expect when visiting the Writing Center. Meeting a Writing Center consultant helps students feel more comfortable taking advantage of the resources we offer, in addition to preparing them for a productive tutoring session. If you would like to introduce your students to the Writing Center, please use this link to set up an in-class presentation! Our team consists of 15 undergraduate consultants who are trained in a semester class entitled Peer Tutoring in the Writing Center and who have backgrounds in various majors and minors. How can my students prove they visited the Writing Center? ​The Writing Center will stamp students' papers to confirm their visits. What is the UCM Writing Center? What If My Student Plagiarized? Feel free to upload these resources to Blackboard or otherwise share with students. They contain information from our classroom presentations in a digital format geared toward online students. If you have information or ideas for how the Writing Center can help your specific class, major, program, or department, feel free to contact us. My students' grammar is terrible? Can you help them? Of course! Grammar is very important--especially when grammar errors make it hard to read and understand what you’re trying to say. When they visit the Writing Center, they can let their consultant know that they're worried about grammar. Consultants look for recurring problems and give some strategies for fixing those. Just keep in mind that polishing up grammar at the sentence level is typically the last step of the writing process. The tutor may notice some other things that need work and suggest students focus on those first. ​How can online students access the Writing Center? The primary purpose of the Writing Center is to guide students to become better writers in the university setting. Writing Center consultants are interested in helping students develop skills and acquire knowledge to foster their independence as writers capable of editing their own texts. 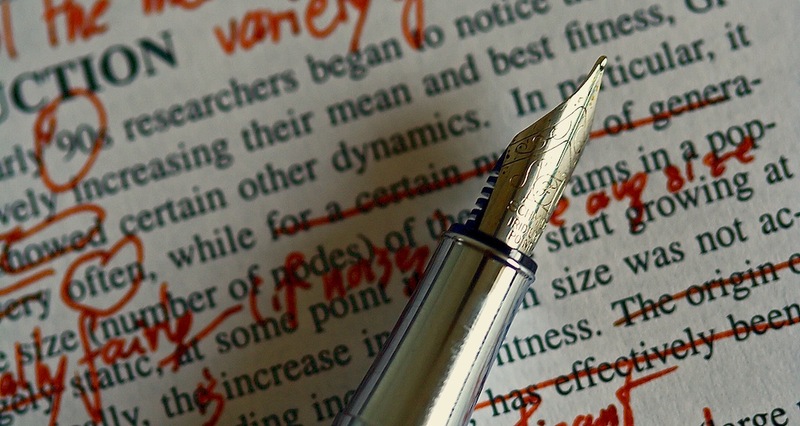 Whether instruction takes place on the premises of the Center or through its online service, the emphasis is on teaching students rather than proofreading or "fixing" papers. To this end, Writing Center consultants make every effort to ensure that tutorial sessions are directed at least as much by the student's questions and input as by the instructor's suggestions, and that writers are invested with ultimate ownership of and responsibility for their own texts, as well as confidence in their ability to meet the standards of the academic discourse community. The Writing Center welcomes opportunities to collaborate. In the past year we have hosted programs for TRiO, created student resources for MoCents, and met with dozens of instructors across campus. If you have an idea or a concern, please contact us, so we can work together to create new resources and programs for student writers.